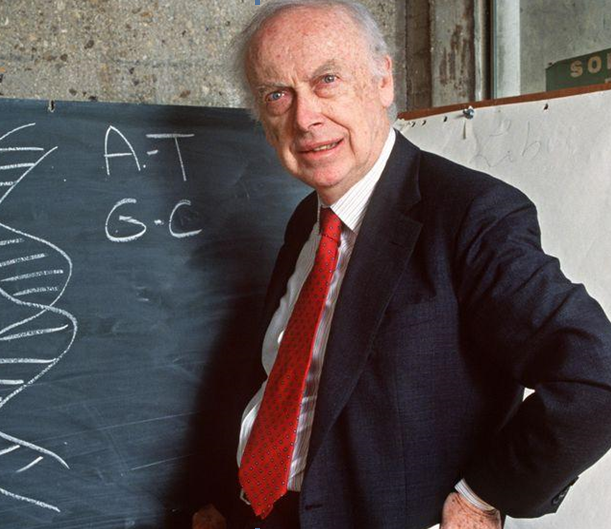 The well-known scientist and Nobel laureate, James Watson has started a controversy by claiming that blacks and whites have differences in IQ due to genetic differences that evolved through natural selection. James Watson, the scientist who won the Nobel Prize in physiology and medicine for discovering the double-helix is in the spotlight for his controversial racist remarks. He has also been stripped of his honorary titles at the Cold Spring Harbor Laboratory (CSHL). The scientist had appeared in an interview in the PBS documentary called “American Masters: Decoding Watson” where he made the comment that blacks and whites have average differences in IQ (Intelligence quotient) because of genetic differences that evolved through natural selection. Earlier, in 2007 too, Watson had remarked that black people are not as smart as white people. He was removed from his administrative duties from the CSHL where he was serving as the chancellor. He later apologised for what he said and admitted that his statement has no scientific basis. But his recent statement reaffirms his deep-rooted racist beliefs. What Watson believes in is a very narrow way of looking into matters, especially cognitive capabilities of humans. Human cognitive capability is much more complex a phenomenon than what could be thought of as only genetically controlled. Genetic architecture primarily provides an individual the basis or the structure of the being. But the psychological make-up of an individual is crucially dependent upon the environmental and social factors, especially during the early childhood period. The differences of IQ, if there are any, have to be seen in this context as well. What do the genes do? The central dogma of molecular biology says that a gene directs which proteins have to be synthesised in a cell via the messenger RNAs. Primary proteins are anyway synthesised in human cells, a lack of which leads to a malfunctioning of the biological processes and also leads to many pathological conditions. But as far as the cognitive processes are concerned, expression of different networks at the level of brain cells is what matters primarily. In these brain networks, different proteins get involved in different combinations. Cognitive science research over time has come to the understanding that the brain circuitry is not merely a product of genetic architecture. Rather, more complicated neural underpinnings are responsible in giving rise to cognitive expressions. We now know that the human genome in the haploid stage consists of almost three billion nucleotide base pairs. The haploid is the stage of the cell cycle where a cell has half of the usual number of chromosomes. A normal eukaryotic organism (eukaryotes are the organisms that have a well-organised nucleus in their cells) has diploid cells- meaning they have two sets of chromosomes from each parent. Now, if we look at the genetic variation of these millions of bases between humans and that of chimpanzees, we find that the variation is less than 2%. Further, the difference between the genetic makeup of two randomly chosen humans would be 0.1%, and that only 10% of this 0.1%, meaning 0.001% of human DNA differs between European, African and Asian populations. This gives the impression that out of the 22,000 genes in the human body, only 22 genes will differ between populations. But this is not the exact case. There is something called the non-coding regions in the human genome. In fact, 98% of the entire DNA in human genome consists of non-coding regions. The non-coding region in the DNA is that region which doesn’t have any role in the process of protein synthesis. So, the 0.001% variation between populations contains this non-coding region as well, indicating that the variations in the genes would go further down. It is now known that complex traits like intelligence, learning and memory, etc., are influenced by very many genes that are scattered throughout the genome and each of these genes have only a small contributory effect. Given that so many genes take part in determining IQ and each of these genes’ contribution is so little, it is apparently very unlikely that a large race difference in IQ would arise only from the tiny DNA difference of 0.1% between populations. Race as a social construct arose much before the advent of modern genetics. Linking any kind of social problem to a race is also an old practice—the outcome of which can take the ugliest form like that of witch hunting. Now, these kinds of racial supremacist ideas are being propagated in the name of scientific evidences. Declaring that white people have IQ more than the black people and that this is determined by genetics also falls into this category and James Watson has fallen prey to it.